Autism Research and Resources of Oregon (ARRO) is pleased to be able to bring you information Autism, with an emphasis on local Autism related Activities and Events. At our discretion (and depending on the availability of our volunteers) we may post these items on our website, ARROAutism.org, or send them out as an email, or both. If you know about something happening in the Autism community that you would like to see here, please let us know! 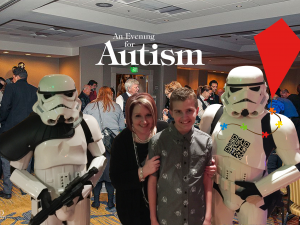 Posted in Featured, Fundraisers, Mission, New!, News and Updates, Westside Family and Community Center	| Comments Off on Donate to ARROAutism Today!